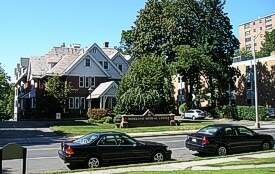 The Hartford office is located at 19 Woodland Street in proximity to Saint Francis Hospital and Medical Center. All physicians of Central Connecticut Cardiologists, LLC care for patients at the Hartford office. Exercise stress testing, nuclear stress testing, nuclear scanning, echocardiography, Holter monitoring, pacemaker monitoring, continuous arrhythmia recordings and event recording are available at these locations. Click here for Directions. 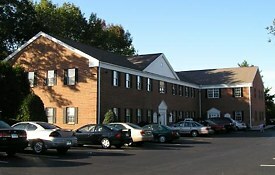 The Enfield office brought to the community cardiac services that previously were only available at a distance. The facility is convenient to Route 91. Exercise stress testing, nuclear stress testing, nuclear scanning, echocardiography, Holter monitoring, pacemaker monitoring, continuous arrhythmia recordings and event recording are available at this location. Of course, patients are seen in consultation and for regular visits. Click here for Directions. 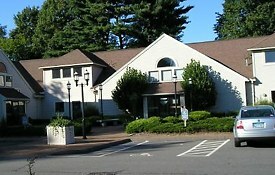 The practice has maintained an office in the Farmington Valley for more than 25 years. 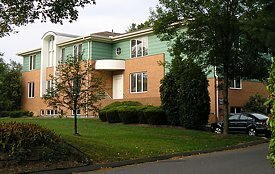 The Farmington Valley Cardiovascular Laboratory was established 20 years ago at the current location, being the first to bring modern cardiology to the area. It has been an integral part of Central Connecticut Cardiologists, LLC. Exercise stress testing, nuclear stress testing, nuclear scanning, echocardiography, Holter monitoring, pacemaker monitoring, continuous arrhythmia recordings and event recording are available at this location. Patients can be seen here for consultation and routine visits as well. Click here for Directions. The Suffield office has been serving the community for more than 20 years. Physicians are available for consultation and routine visits. Exercise testing, Holter monitoring and pacemaker monitoring are available at this location. Click here for Directions. 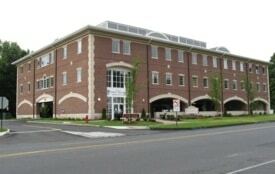 The office is in a new medical building in East Granby. Physicians are available for consultations and routine visits. Click here for Directions. Download a patient information packet.